The Data Design Diabetes Challenge offers $100,000 to startups that are finding innovative ways to combat the diabetes epidemic, from better meals determined by algorithm to predicting which patients won’t take their medication. 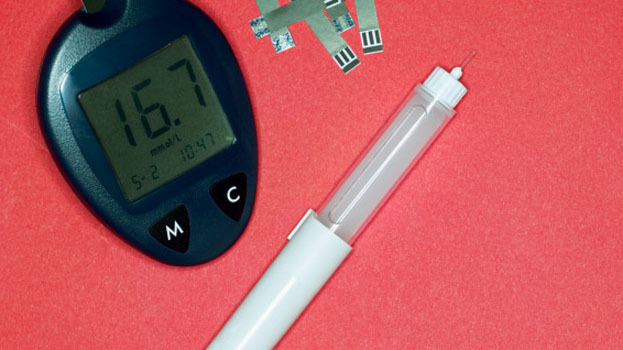 No matter how much technology we throw at it, the diabetes epidemic just won’t budge. Today, 8.3% of the U.S. population has the disease–a problem that cost the country $245 billion in 2012 alone. That hasn’t stopped individuals and organizations from imagining solutions. For the past few years, drugmaker Sanofi US has run the $100,000 Data Design Diabetes challenge, a call for entrants to design data-driven diabetes solutions. This isn’t a challenge for flash in the pan ideas that disappear soon after winning. Past competitions have yielded successful initiatives like Ginger.io, a behavioral health analytics startup that recently raised $6.5 million. The finalists for this year’s competition (theme: using open data to make the right diabetes decisions at the right time) are below. The GoCap is perhaps the simplest concept of the bunch: it’s a high-tech replacement cap for pre-filled insulin pens that can read dose amounts and time, and then wirelessly communicate that information to cell phones and glucometers. The resulting data can be used by both patients and large organizations for analysis. A product of software development firm PHRQL, Connect & Coach TM calls itself the first clinical and consumer application to let dietitians and diabetes educators perform Diabetes Self-Management Education and Medical Nutrition Therapy in local communities. The product is designed for supermarket and pharmacy use. Created by healthcare analytics company Allazo Health, the AllazoEngine attempts to solve the niggling problem of medication non-adherence by using existing data from its members to predict who will neglect to take their pills–and the best way to get them back on track. Like many products breaking into the market today, Nuduro provides healthy meal recommendations that match customer lifestyle, taste, and nutritional requirements. Unlike the other products out there, however, Nuduro presumably focuses specifically on diabetes patients. This product, created by ZyDoc, is an enterprise healthcare analytics platform that lets users deposit all sorts of unstructured data–dictation, legacy data, transcribed text, and more–and transforms it all into fully-coded structured data. The platform is obviously relevant outside of the diabetes world as well. Next up for the finalists: a bootcamp in San Francisco to help them create product prototypes. The winning team will be announced this month. Are We Spending Too Much Money Attending Weddings In Nigeria?